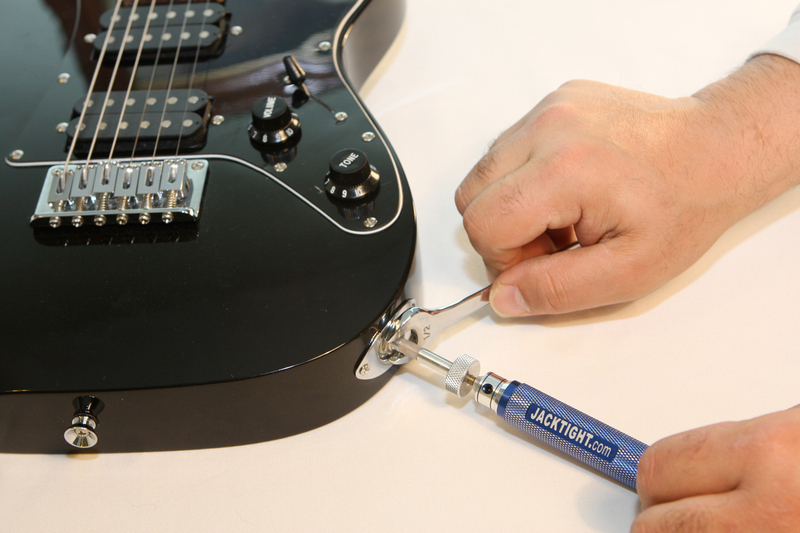 JackTight Electric Output Jack Repair Tool is a revolutionary and simple-to-use system for tightening the output jack of most electric guitars and basses. Made of durable aluminum, brass and steel, JackTight will stand the test of time and use for electric guitars and basses. Product includes one JackTight Electric Tool, with instructions in a reusable clamshell case. 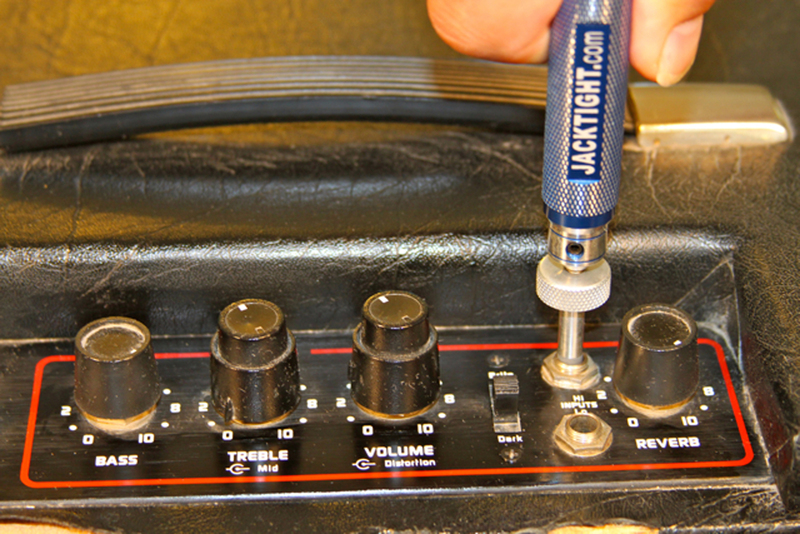 JackTight can be used on any electric guitar or bass with a standard 1/4 inch output jack. 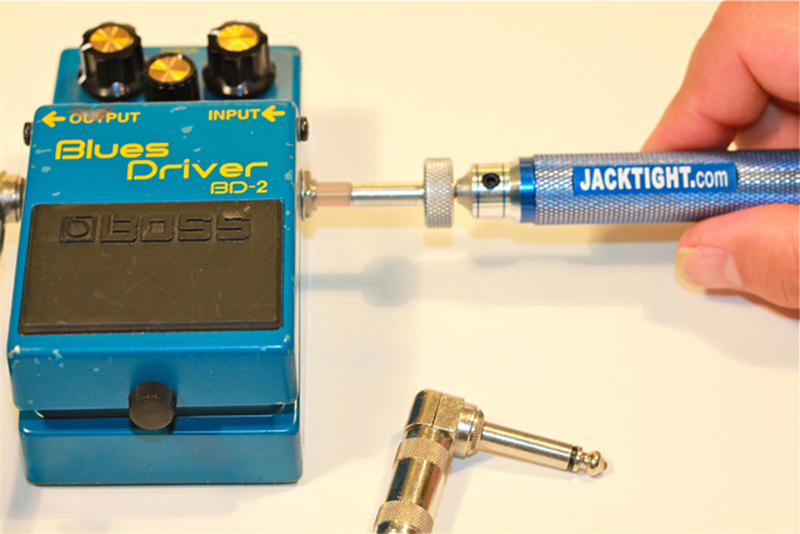 • JackTight is a revolutionary and simple-to-use tool for tightening the output jack of most electric guitars and basses. 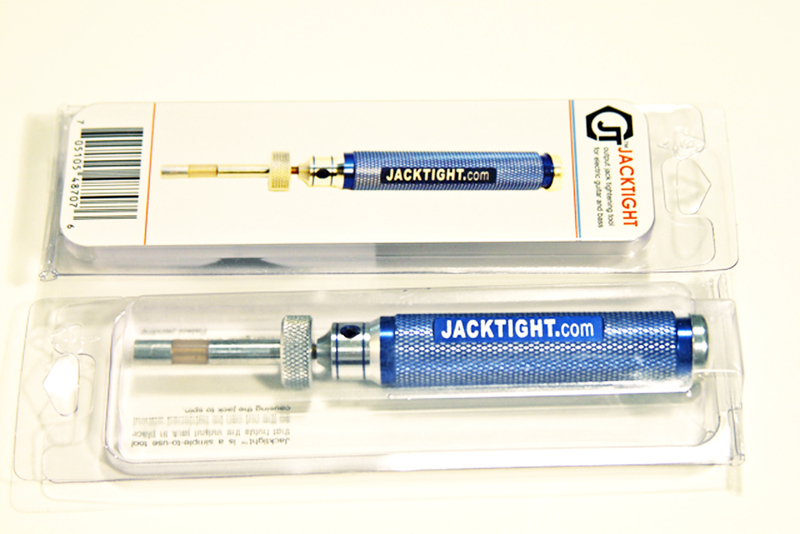 • JackTight stabilizes and holds the output jack in place so the nut can be tightened without the jack spinning. 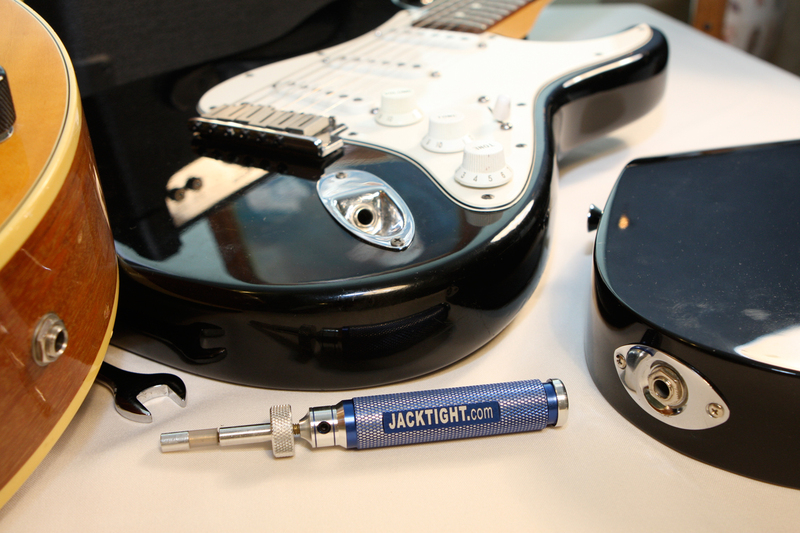 • JackTight simply and effectively solves one of the most common maintenance issues for guitarists and bassists. • Made of durable aluminum, brass and steel. • Check out a demo of JackTight Electric output jack repair tool. 3. What is the Total Cost to Purchase from Sydney Australia?. Hello. 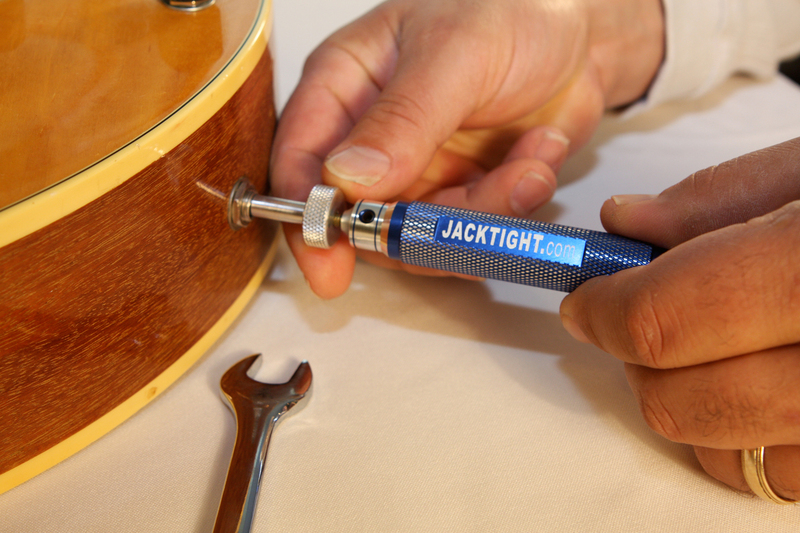 Thank you for your interest in JackTight guitar tools. JackTight is made in the USA. You may purchase one from our website on the “Buy JackTight” link in the navigation menu. Cost to ship to Australia is $8.50 (US$) plus the cost of the product you purchase. If you have any other questions, please don’t hesitate to ask.